Log into the site and then click the 'Your Profile' link on the top left. Fill in your new password in the 'New Password' and 'Verify New Password' and click Submit. Click on the Contact Us link from the front page. Use the drop down box and select Web Login. Fill out the information and submit. Your password will be reset and a new password will be emailed to you within 24 hours. A Homeowners’ Association is a non-profit corporate entity made up of the homeowners and landowners in a community. Its purpose is to preserve the lasting value and desirability of the community by upholding common standards throughout the neighborhood. The HOA is responsible for maintenance of common area land, neighborhood amenities and enforcement of deed restrictions. An HOA is typically managed by a property management company to facilitate policy set by the Board of Directors. Common Community Issues: Who is responsible? City of Pflugerville: stop signs, street signs, street repairs, street lights, street parking, unregistered vehicles, permits for solicitors, enforcement of city ordinances. To report compliance issues, call 512-990-6310 or email Henry Grobert hgrobert@pflugervilletx.gov Code Compliance Officer. To report repair issues, submit a City of Pflugerville Service Request or use the new Pfix-It app available for Iphone and Android phones. What are the Legal Duties of Board? What is the role of the Community Manager and Property Management Company? What is the role of the ACC? • The Architectural Control Committee (ACC) is a volunteer committee. They are responsible for reviewing and deciding upon homeowner requests for improvements to their property. 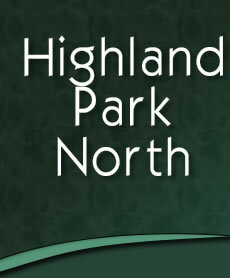 • The ACC ensures that improvements are in compliance with the Highland Park North HOA covenants, in an effort to maintain the appearance of our neighborhood and safeguard property values. • The ACC guidelines and Improvement Request Form can be found under the Documents/Forms tab of the website. Where can I find detail about HOA Activities? Activities are published on the hpnhoa.org website and you can view them by clicking on Upcoming Events. Can I bring guests to the pool? Residents can bring up to 5 guests to the pool. If you need to bring more than 5 guests, you need to submit an online Pool Reservation. Pool Reservations must be received at least 10 days prior. How can I get a pool access card? It’s really simple – just download and complete a Pool Tag Request Form from the HPN HOA website and then email it to pool@hpnhoa.org. There are many volunteer activities available. Contact board@hpnhoa.org if you’re interested.